It is free to apply for a pardon in almost every state. There is absolutely no need to waste your money having someone apply for your pardon. 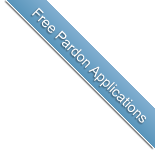 There is a website, ApplyForPardon.com, that offers a free and simple way to create pardon applications online. They also provide helpful advice to maximize your chances of being pardoned. If someone other than a licensed attorney is trying to charge you for a pardon, the chances are they are ripping you off. Do not trust anyone who is over eager to take your money in return for helping you apply for a pardon. If you do decide to hire someone to help you, ask them how many pardons have they had granted in that state. Don’t settle for a vague number. Also ask how many pardons are granted in that state each year. These numbers are published. 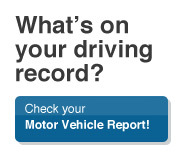 Ask to talk to real customers who have received a pardon. Do not give your personal information such as social security number or credit card number over the phone unless you can verify that they are licensed to practice law in your state. Do not become a victim of fraud or identify theft. How many pardons are granted in that state per year? How many were pardoned for the type of offense you were convicted of? How many people have they assisted in that state? How many people have they assisted in that state received a pardon? If it is a federal crime ask how many presidential pardons have they had granted? If it is a federal crime ask how many pardons have the predient granted.